Some time ago, I summarized the degradation of the diolkos of Corinth over the last several decades. 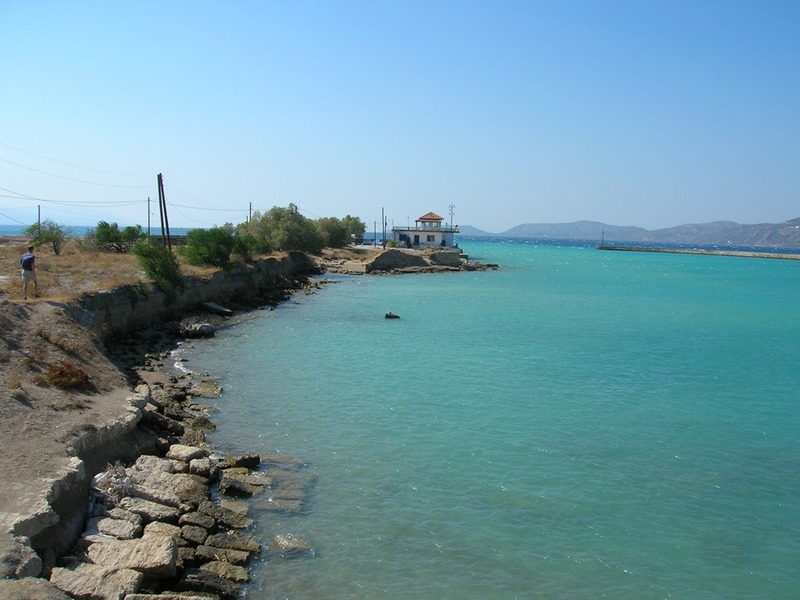 This piece on Enet.gr from June 2013 (in Greek) suggests official plans underway to fund a concrete embankment on the eastern side of the diolkos that would protect the pavements of the trans-Isthmus road from the continuing erosion by currents, winds, and wave action from the nearby canal. The study and project have been proposed by the Central Archaeological Council in collaboration with the Ministry of the Environment, with a projected cost of 2.5 million Euro. 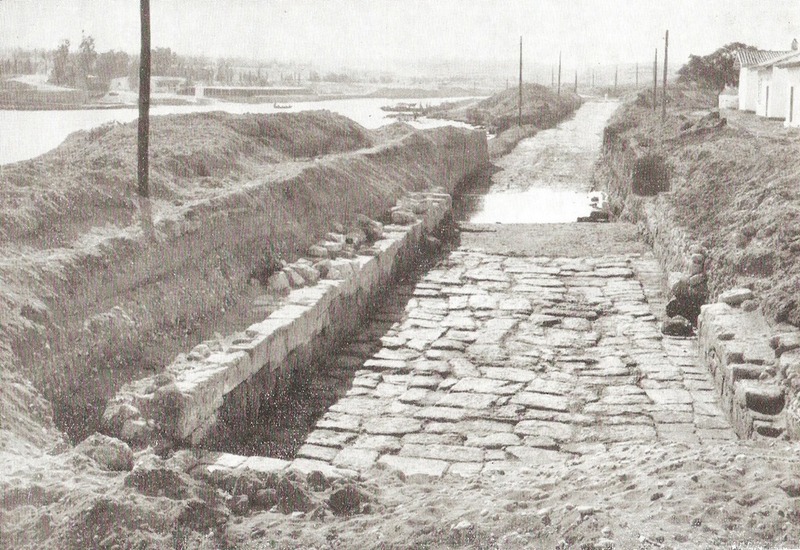 The pavements of the diolkos now submerged would be lifted and supported to their original location. Large concrete blocks (4-6 m in dimension) reinforced with stone embankments would be placed east of the run of the excavated diolkos. Not sure what, if anything, will become of this but a major project of this sort is overdue – in light of the road’s importance for the historiography of the Corinthia — and the proposed plan for an embankment seems like a reasonable approach. Vetting this on Corinthian Studies FB suggests that the plan has not moved forward since June. For some sense of the destruction of the diolkos over the last fifty years…. And a neat visual from the article of a planned embankment with pedestrian walkway that would protect the monument (facing northwest).